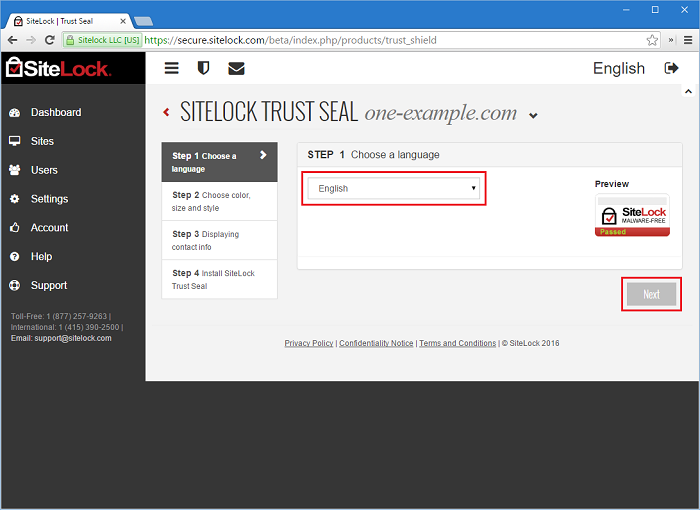 The SiteLock Trust Seal is included with all SiteLock subscriptions. 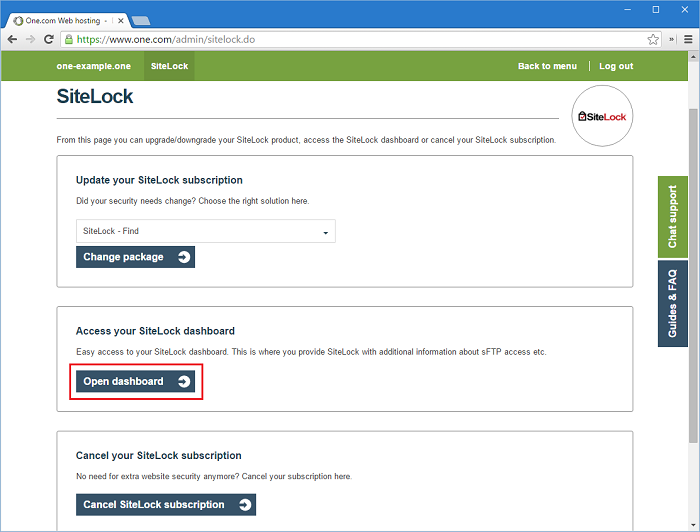 Before you can add the SiteLock Seal to your website, you need to have a SiteLock subscription. Check the guide below if you haven't done this yet. 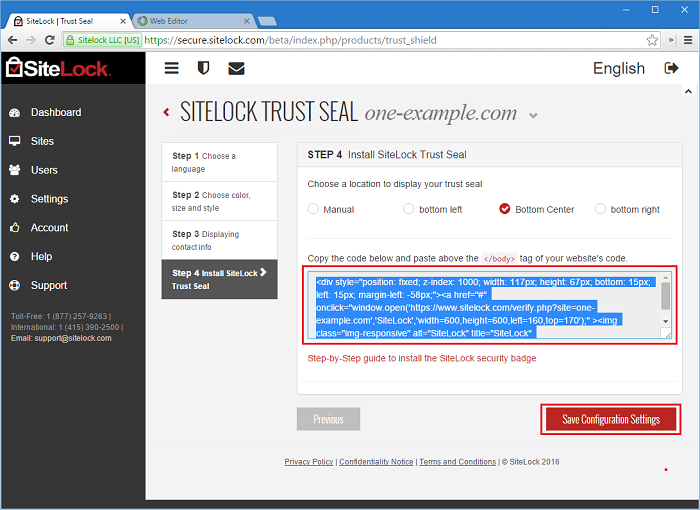 The seal is a badge that you can place on your website to show your visitors that your site is secure. It shows the last date that your website was scanned and verified. If SiteLock detects a problem on your site, you have 72 hours to solve the issue. If it isn't resolved within that time, the seal will be taken down. 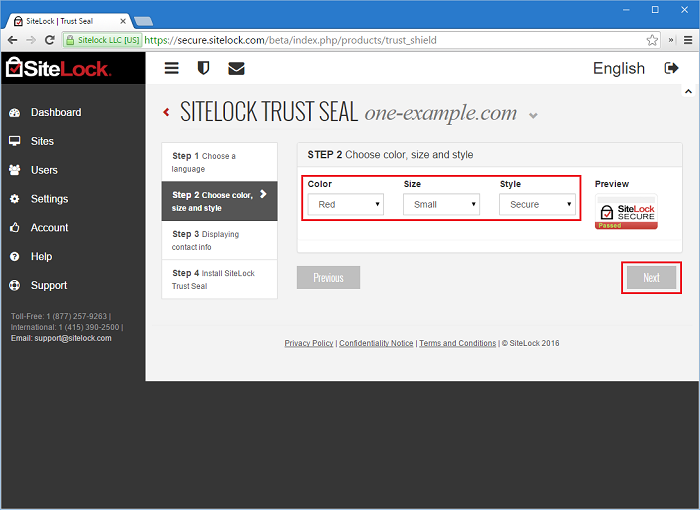 This guide shows you how to add the Trust Seal to your website made with Website Builder. Log in to the control panel, click SiteLock and then Open dashboard. 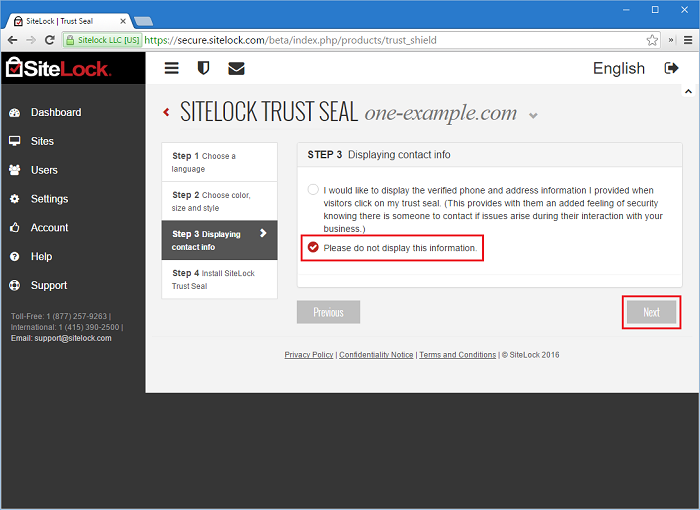 Click the Trust Seal icon at the top of the screen in the SiteLock dashboard. 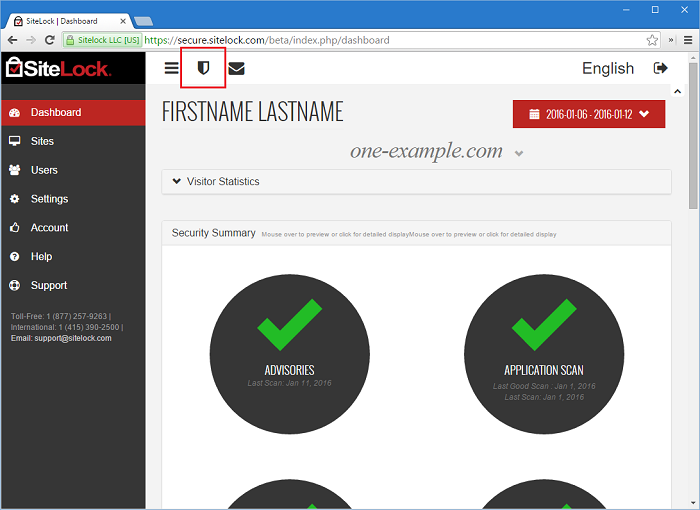 If you have more domains under one SiteLock login, you first need to select a domain. Choose your language from the drop-down menu and click Next. Here you can specify how the seal is going to look on your website. You need to choose a color, the size and the text that is displayed. Under preview you can see how the seal is going to look on your site. When you are satisfied click Next to continue. 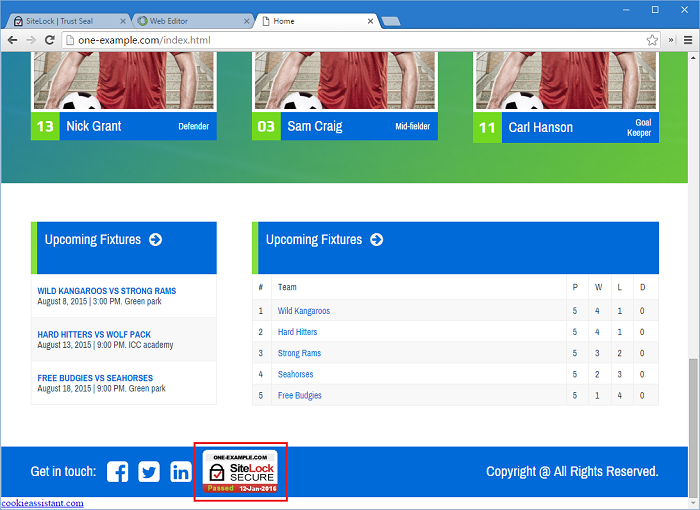 You can choose to display your contact information when a visitor clicks the seal on your website. Choose Please do not display this information if you don't want to this. 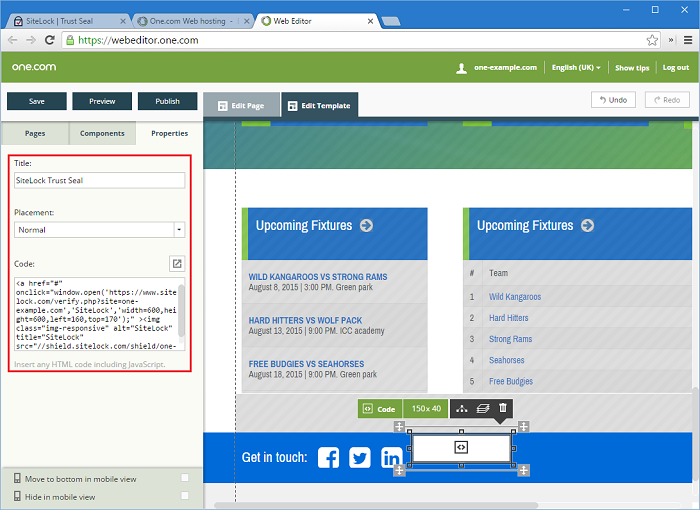 Choose the location where the seal on your website should be displayed and then copy the html-code to a txt file. You need to insert this in your website. 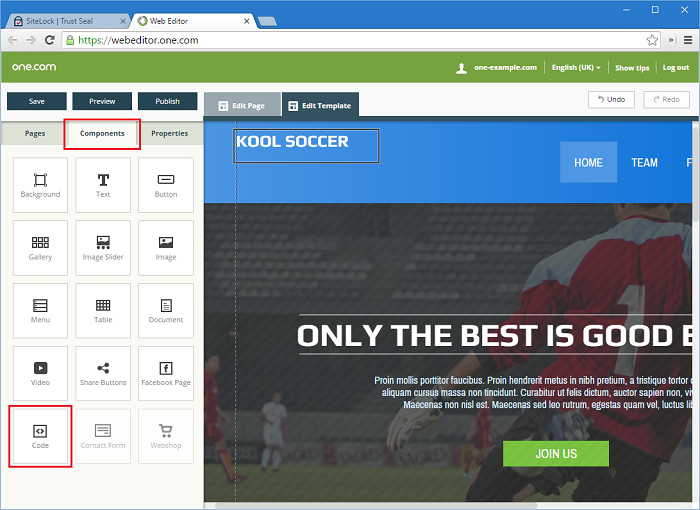 Click Website Builder in the control panel. In Website Builder, open the page where you want to display the seal. If you want the seal displayed on all pages, add it to the template. Go to Components and drag a Code component to where you want the seal displayed in your page. Enter a title, choose Normal under placement and paste the code in the code field. Click Publish to put your changes online. The seal is now visible on your site for all your visitors. 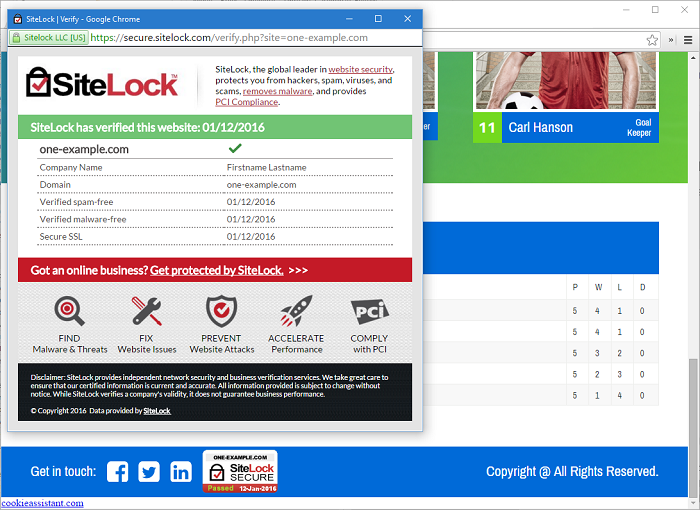 Click the seal icon on your web page to review the SiteLock pop-up. Your contact information will be visible here, if you have chosen to display this.